Visited the Brierley Hill store to look at the Genie scooter, I spoke with Nathan who went through the controls of the scooter and let me try the scooter make sure I could lift it in and out the car so i knew I would be able to manage the scooter on my own. Nothing was too much trouble I felt no pressure to buy but I was more than happy to after making sure the scooter was suitable. Purchased a Tri Walker for a relative and the service in store was friendly. The staff were helpful in getting me to choose the right item. I would recommend Careco Brierley Hill to friends and family. Visited the Brierley Hill showroom to purchase a Foldalite power chair and found the help and support i received in particular from Nathan was first class!! 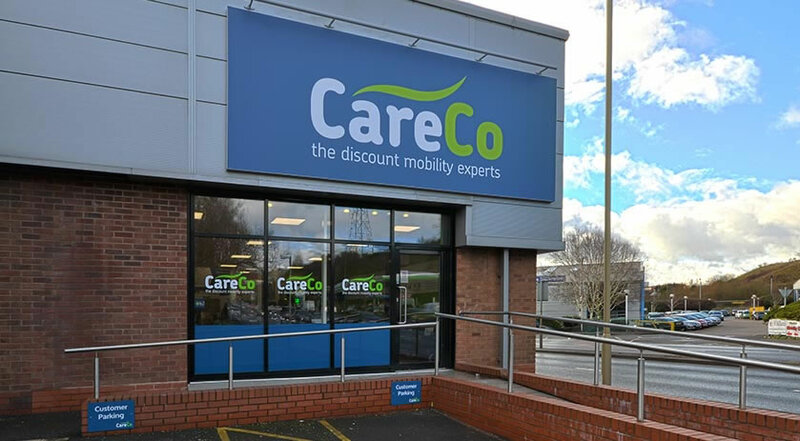 I would recommend to friends and family, CareCo Brierley Hill is a very helpful mobility store. Fantastic service at the Brierley Hill store. I would recommend any person looking for mobility items to go there first. My Wife and I went along to CareCo which is based in Brierley Hill Dudley to enquire about purchasing one of their Scooters. Nathan was the guy that dealt with us and he went through all of the details about the scooter that would suit me. He was most Courteous and answered all of the questions that I asked and even had a go at driving it. I was most impressed with the Professionalism that he showed. The next day I went along to purchase the scooter having thought about it over night I was served by Adele who once again was very good at showing me how to dismantle it and put it into the boot of my car. I would recommend any requiring a disability scooter to go along to this shop you will be treated very well. Visited the Brierley Hill showroom and was very pleased with the excellent service and product knowledge from the staff. Would definitely recommend to anybody with mobility needs. Staff at Brierley Hill were brilliant would highly recommend this store. 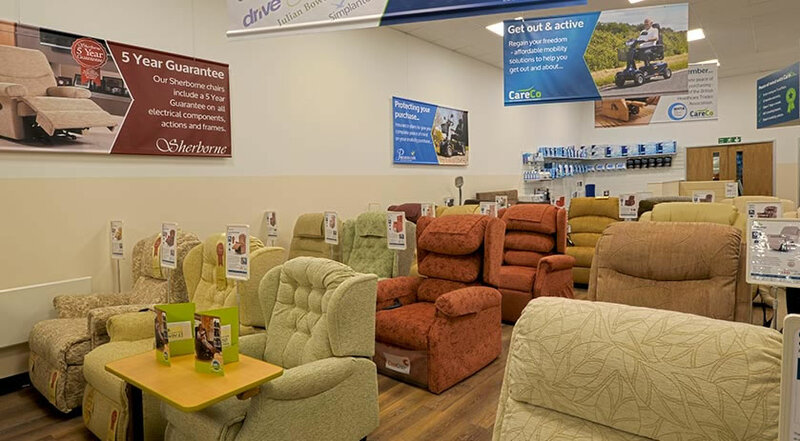 We needed a riser/recliner chair urgently for our father the website was very good but we decided to visit our nearest showroom (Birmingham) to make to final decision. The assistant was attentive and helpful without pushing for sale she gave us the time and space we needed to make the decision but was on hand to answer our questions next day delivery was accentual and it arrived at the expected time. Totally satisfied with experience at a stressful time. We visited the Brierley Hill branch yesterday to buy a foldable wheelchair for my dad, so glad we didn't buy one online as the assistant was very helpful with her recommendation and advise. She gave us the weights of the two we had lined up and we tried both for comfort and ease of use. Buying the slightly cheaper and better one for us nothing was too much trouble and we came away with a chair, cushion bag and walking stick holder. We tried the chair (folded in the boot for size) no problem and were easily able to rig it up when we got home after the in shop demo. This was a discount store with a good range in stock together with accessories, I would recommend the store. Visited the Brierley Hill showroom for a wheelchair for my mom Nathan helped us choose the product that was perfect for her. The service we received was great not pushy at all. I recommend the Brierley Hill showroom of CareCo. Fantastic customer service and brilliant advice. Absolutely recommended. Our second visit to CareCo Brierley Hill and we purchased a rollator. 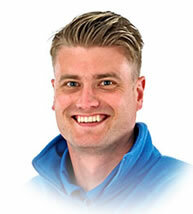 The staff are helpful & friendly and I would recommend to friends and family. Excellent service, I purchased a new scooter with a bag staff were very kind and helpful. What wonderful service Gaynor gave me while picking my new Rascal scooter. She was very helpful, no pressure to buy and I would highly recommend Careco Brierley Hill. Well informed helpful staff and genuinely compassionate. Great range of scooters. ZERO pressure to buy. Lots of room to test them out. Lots of easy parking. Its simply great. What wonderful service I had at the Brierley hill showroom, the staff were very patient and not pushy at all, advising me on what scooter would best suit my needs. I would recommend this store to anyone interested in getting a mobility item. I was really impressed with the service in which I received. I was able to drive the scooter with no pressure and was able to choose the correct scooter for my requirements. Adele was so helpful and answered all my questions. I had a question on a washer when we returned home so phoned to ask advice. However I had to leave a message. Not long after a very helpful engineer phones to clarify my question I was so impressed. Thank you for such an attentive service and wonderful product. Staff were very friendly and helpful especially Adele, the item we brought was just what we needed and thankful that they had one in as one needed urgently. Good staff, would definitely use again. A massive thank you to Nathan and Adele in the Brierley Hill showroom who were extremely patient and thorough in helping me select the most suitable power chair for me. I would highly recommend this store and company to friends and family. Once again Nathan and Adele have given me brilliant service with very sound advice and excellent service. A massive thank you to the staff at Brinkley Hill who were very helpful with my dad while he purchased his first ever scooter. I would recommend to friends and family. Excellent service and soon found the most suitable scooter for our needs. Very helpful staff. A massive thank you to Nathan for his help when I purchased my G-Lite Wheelchair. Very helpful and knowledgeable would recommend CareCo to anyone. Very happy with the service I received at CareCo Brierley Hill. 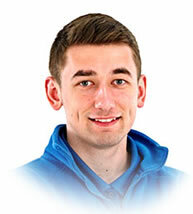 The staff are friendly and very helpful I would recommend to friends and family. Excellent service, friendly staff, would recommend highly to anyone. Great staff very attentive and knowledgeable would recommend to anyone. Purchased a power stroll from the Brierley Hill showroom and we were very pleased with the service we received and we would recommend them everytime. Just wanted to say how delighted we are with the new zoom scooter my dad purchased from CareCo in Brierley Hill. The staff were patient and very helpful with my father as this was his first scooter I would recommend CareCo to anyone. Exceedingly kind and helpful staff Very informative and great credit to the company. Extremely patient with me and my disability I shall return in the future for further purchases. Very helpful and informative staff which helped greatly with our choice of scooter. Staff demonstrated a good range of different scooters suitable for my husbands needs. Great customer service and competitive prices. Excellent service from the Brierley Hill staff very helpful. I am very pleased with my new scooter I would recommend every time. What a great experience at Careco Brierly Hill. The young man was VERY helphul and informative. He encouraged my mum to try out the scooter showed her how to put it together allowed her to lift the individual components and check if she could lift it into a boot. There was no pressure to buy just help and advice I cannot reccomend them highly enough. Excellent service from placing our order to delivery would use every time! 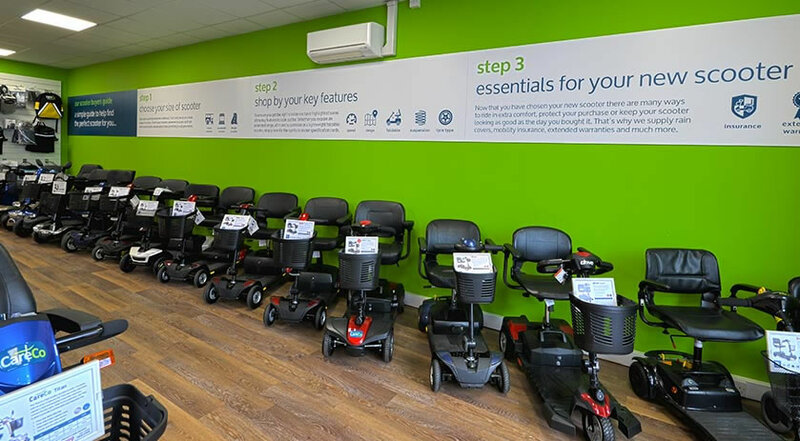 Located within a 20 minute drive of the M5 (junction 2 and 4), our Brierley Hill showroom features a wide selection of the best mobility products on the market. With plenty of free parking, including disabled spaces, you are welcome to stay for as long as you like and find the perfect product for your specific needs. 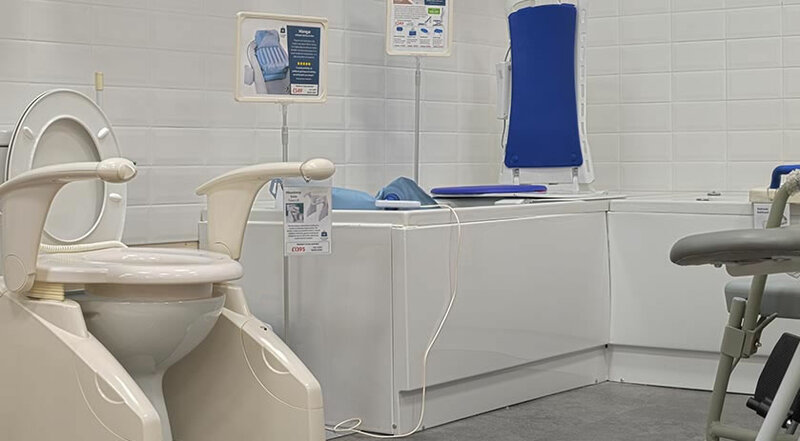 Inside the showroom you'll be able to get to grips with our wide range of scooters, riser recliners, wheelchairs, adjustable beds, walking aids and bathroom aids. "I've worked in the mobility industry for 6 years now, and I still thoroughly enjoy helping the customer regain their independence and guiding them towards a decision that will boost their day-to-day life." "I very much enjoy each and every day with CareCo. 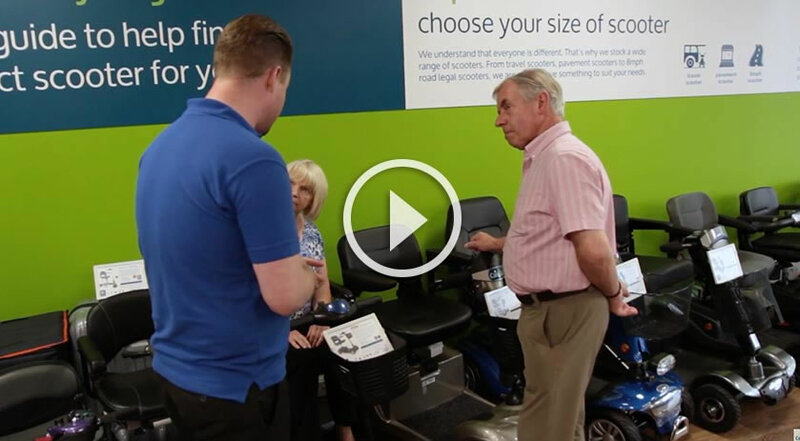 No two customers are the same, and finding the perfect answer to somebody's mobility issues is very rewarding."